UPDATE; Have since been the envy of my area with the first taster of Eden's Ice Cider. More on that by mid-January. In the meantime, read on. The history of apple cider, as well as hard apple cider, in New England, has been written about over and over again so I will not do the same here. I will, however, add that Yankees have been enjoying apple cider, in all forms, since the first decade of the 17th century and we have not stopped since. Hard apple cider is now global and is enjoyed universally. But there has been that one sticking point and that is the overt sugary, sweetness that usually comes along with it. Many of my friends on all social media platforms have the aptitude and strong desire to at least try bottled, hard apple cider, but when they do, they are taken back by the sweetness. No complexity or other hints of flavors, just sweetness. I, too, have tried almost every single brand and have yet to find that perfect hard cider that adds more apple flavor. I have seen dozens of reviews for hard cider, as well as the product I am about to tout, but it truly takes a New Englander to appropriately and honestly give a true summation of ANYTHING cider!. I know this will "offend" many professional taste testers out there, but pull your big boy pants up and move on to another product you can review. There is just something about a fermented apple product that takes a genetic "je ne sais quois" in order to accurately describe, and thusly recommend an apple product. If you are tired of tasting the same ol', too sweet, hard apple cider, than this product is for you. The only drawback, and truly NOT akin to what the original New Englander called it, is that most of the producers of Ice Cider calls it Ice Cider WINE. Not only is the word 'wine' a turn off for many men, Yankee men to be precise, but it instantly denotes something less alcoholic and as sweet as wine. That is where this product comes in. Ice Cider is actually a pleasant beverage, says Linda Fondulas of Newhall Farms(see below). The apples she produces is used in Eden's brand below. She tells me that there is so much more depth of flavor in Ice Cider than simply hard cider. The apple bursts its Yankee roots in every sip and all the profiles of an apple are quite apparent as well. Originally either called Jersey Lightning or Apple Jack(the latter more prevalently), fermented apple cider was frozen in whatever cider barrels a family had laying around. 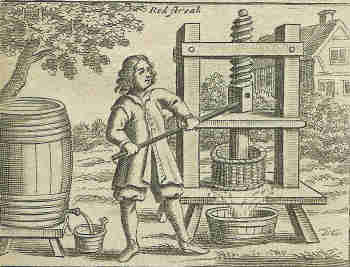 Once the water portion of the cider was frozen, the remaining cider was drawn off and placed in another barrel. This was repeated one more time, with the resulting cider being as strong as any Southerner's White Lightning! So why was the name Jersey Lightning applied at times to this delicious alcohol? Because the road crews in New Jersey during the colonial era were paid with this Apple Jack! Anyway, the alcoholic content of todays' Ice Ciders can't compare to the original either. Today, they range anywhere from 10%-20%, stronger than beer but still a far cry from the old days. I have seen, somewhere online, of Ice Ciders having a 30-40% content of alcohol. These would be the first I would try. There are also two different manufacturing processes used as well, one being far superior than the other. The generally acquired and used system is to use apples from the tree, pulverize them(I am taking a journalistic shortcut here), squeeze as much juice from them before freezing, filtering and fermenting. Although this results in a good tasting Ice Cider, the best way is the old way. 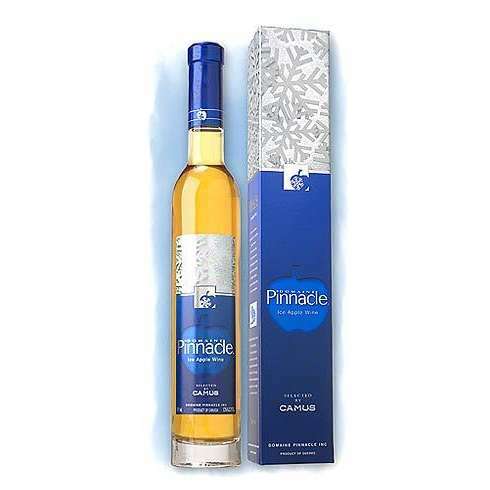 By letting the apples freeze while still on the branches before picking and continuing with the fermentation process, you are left with an Ice Cider that is superior in taste than any other hard apple cider product in the world! The flavor is almost identical to an apple pie, without even having to add spices. I am adding a few companies, both here in New England and abroad, that produces Ice Cider, and I will let you decide which is your favorite and with a little due diligence, investigate which of these uses frozen apples rather than freezing the juice. I have added one particular company that is known to use frozen apples. Let me know which you enjoy the most and in the meantime, I will be forming my own opinion as I can acquire each of these products. The winning Ice Cider will be having a spotlight in my third cookbook already in the works. 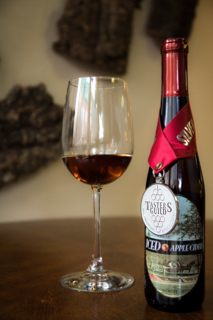 Touting 54 awards, Ice Cider Neige Premiere is a blend of McIntosh, Spartan and Cortland apples and is 12.5% alcohol. The reviews, as seen on their front page, likens this cider to wine which is a common denominator throughout my research. 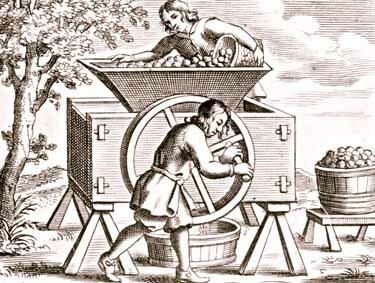 Although they show pictures of apples being picked in the middle of winter, and thusly assuming the apples are frozen, there is no mention of using the frozen apples for the base of this cider. They also say that the apples are "autumn harvested". Regardless, this Canadian "wine" is available for your tasting as well. Now onto a Vermont company, Eden Calville Blend Ice Cider, of West Charlestown, Vermont. Linda and Ted Fondulas provide the apples for this Ice Cider on their Newhall Farm. They claim to use 11 apple varieties and is 10% alcohol. On Eden's web page, it is shown that a few different Ice Ciders are produced, each bearing their own flavor profile. The only downfall is that only a dozen or so states are in on their shipping list. Although additional flavorings are added, the Orleans cider is on my list to try. 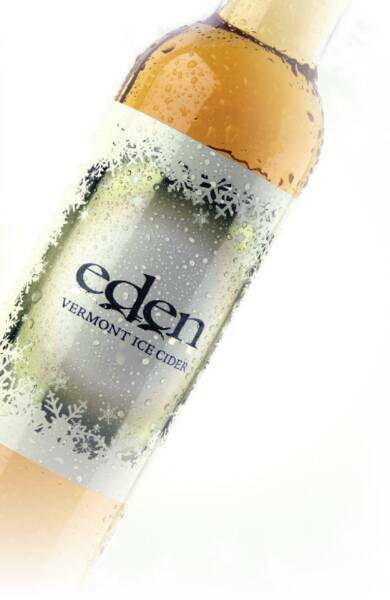 Self proclaimed "Vermonts Premier Apple Cider", this New England company, Boyden Valley, has two products that stand out, Ice Cider and Double Bourbon Cider. We will stick with the nuances of Ice Cider for the benefit of this column. Although little is mentioned in the way of production, this site does say that it is 12% alcohol and uses ONLY Vermont grown Northern Spy, McIntosh and Empire apples, which is almost the perfect blend to be honest. 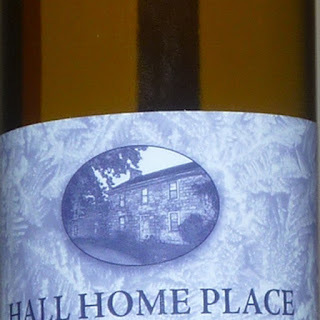 This Ice Cider is aged in French oak barrels, which is fine but in order to be true to New England, oak trees were not nearly used as widely as other types by Puritan and colonial coopers. The staves of the barrel were generally made at home by whatever tree one had on their property, mostly Beech, maple, birch and fir. Now we are at a place that freezes their apples on the branch BEFORE any other process. Although Northern Natural Winery is based in Michigan, I truly want to try their Ice Cider, and that is coming from a 13th generation Yankee! Not much, if anything, is found on their website below, about the process used, but simply because of the true process that results in a true New England flavor, this stands out to me more than others. You will have to look under 'Wine", on the left hand side, in order to pull up their product. In Shoreham, Vermont comes a very intriguing Ice Cider. Champlain Orchards is a special place because they are eco-friendly, while producing a great product, as many aver. Their road to fame, I believe, is the Honeycrisp Ice Cider. The name along sounds enticing on one hand, but sweet on the other. The only way to tell is by ordering a bottle, or two, or.......with its' 11% alcohol. 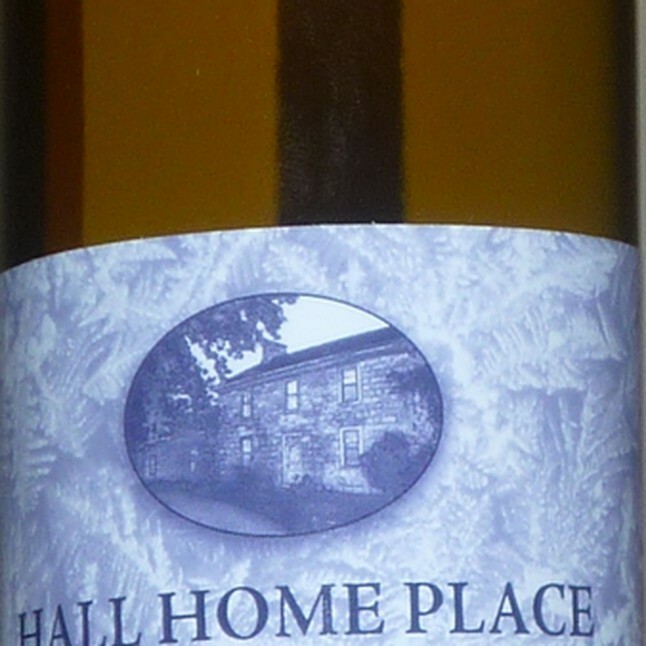 Isle La Motte, Vermont raises their glasses to Hall Home Place. They are regaled as having the most distinctive Ice Cider in the world! What I like about this company is that the land, as well as the apple trees, have been in the family since the 1700s, and the apples have not been changed since that time, only more added. That, to me, is pure Yankee. At 13% alcohol, their Ice Cider just tweaks me in a good way. Another reason why I hang my hopes on the Hall family? They use ONLY Cortland apples for one of their Ice Ciders. And for those of you familiar with Cortlands, you know that they are less sweet than many other varieties, making this cider a beverage I think will "take the cake". Never EVER heard of Ice Cider. NOW, I will have to try it. TY again chef for all the new things you post. And MERRY CHRISTMAS...Yeah, that's right, I said MERRY CHRISTMAS, the way it SHOULD be celebrated. I hvent either. I just went on to see how much it is and WOW!!!! A little steep for my pocketbook. Why is it so expensive? What a shame because I would buy a couple bottles every year for our Yankee table, but cannot afford over $25 dollars per bottle that holds less than a bottle of beer.